This time of year finds most people scurrying about with a long list of 'gotta-dos'. Probably the last thing on anyone's mind is working in their gardens. transplanting trees and shrubs and taking some hardwood cuttings. Your biggest concern will probably be tending to your house plants. Please don't forget about taking care of your feathered friends! Keep your bird feeders cleaned and filled, especially when there is snow on the ground! Norfolk Pine Trees are native to Norfolk Island in the South Pacific, where they may grow to a height of 80 feet, but they will maintain a reasonable size when grown in a container in your home. 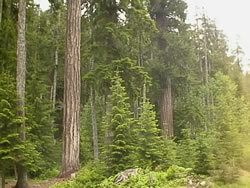 Norfolk Island Pines grow best in a cool room with day time temperatures of about 65° and slightly cooler at night, but never below 50 degrees!. Drafts, extremes in temperature, and sudden changes in temperatures should be carefully avoided. 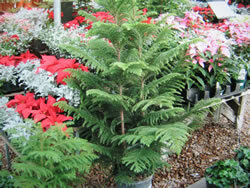 Norfolk Pines need bright light but never full sun. Preferably you should place your tree within four feet of a large window. Norfolks can survive with only household incandescent or fluorescent lighting if they receive a minimum of 16 hours of light each day, but there is no substitute for bright, natural light. Gardening tasks are the same, no matter where you live. In other zones, they are just done in a different month! If you do your gardening is in cooler or warmer regions, browse the months before and after the current month for reminders of anything you forgot to do, and projects that you have to look forward to. This should allow you to plan your seasonal gardening activities well in advance, and help keep your plants and flowers looking their very best. in reaction to the natural shortening of the days in fall. 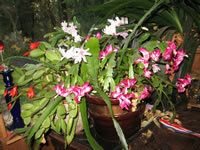 Holiday Cactus are capable of blooming at almost any time of the year by manipulating their light and temperature. The natural changes of daylight hours will usually trigger blooming of these different Holiday Cactus to coincide with their named holiday. 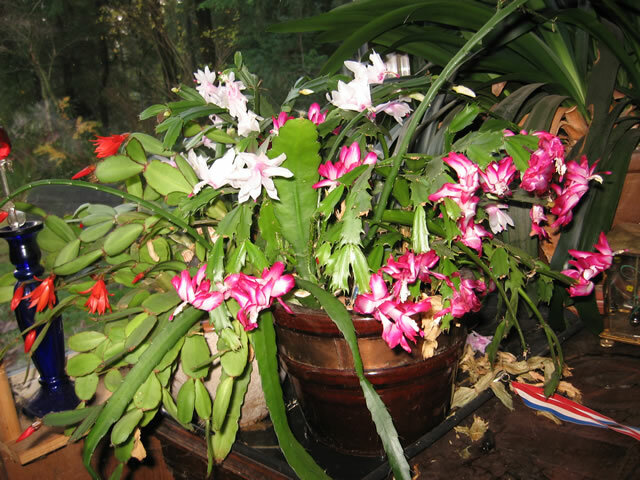 In the fall, reduce watering and keep your Christmas Cactus cooler 60°-65° at night. Protect from artificial light during night time hours. Increase watering and resume feeding when the flower buds appear. Christmas Cactus and other Holiday Cactus do not like to be moved to a different location once they set their buds. Rapid environmental changes can cause the flower buds to quickly drop. 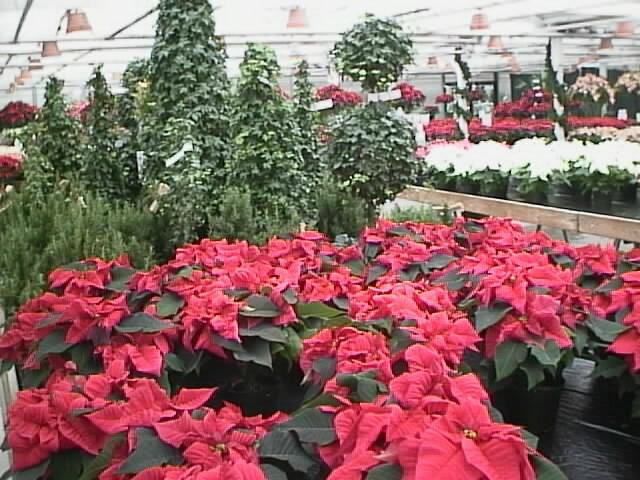 In order for you to 'set' the time of blooming for Christmas, Poinsettia plants must be subjected to 14 hours of total darkness per day with a night temperature of 50° beginning in mid-September. This can be accomplished by placing your plant in a closet or unlit room, or by covering the plant with black cloth, black plastic frame or a cardboard box. At this stage, ANY light, even turning on a light bulb in the room for a few seconds will delay the bloom for up to a day! 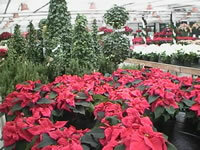 Your Poinsettia plant should be returned to the light each day and given a minimum of 4 hours of direct sun. Typically, all healthy, mature Jade Plants will bloom, usually around Christmas in the northern hemisphere. Their blooming is triggered by the natural shortening of the daylight hours. If your Jade Tree is in a room that usually has lights turned on at night, it will more than likely fail to bloom for you. 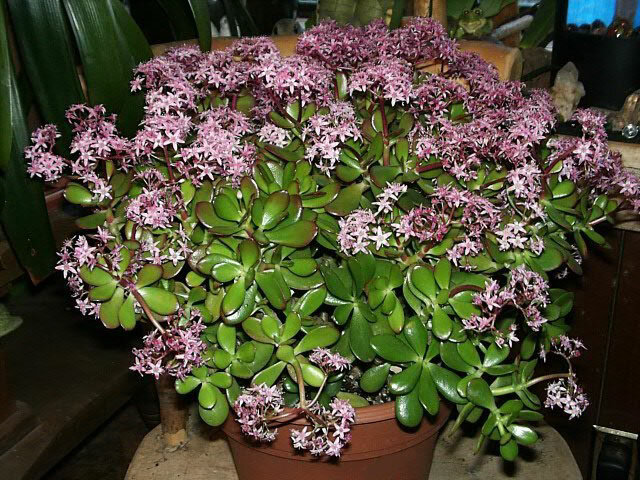 Sometime in September or early October, move your Jade plant into their 'no night light' environment. Find a suitable area that seldom has the lights on at night but receives good, natural light during the day. 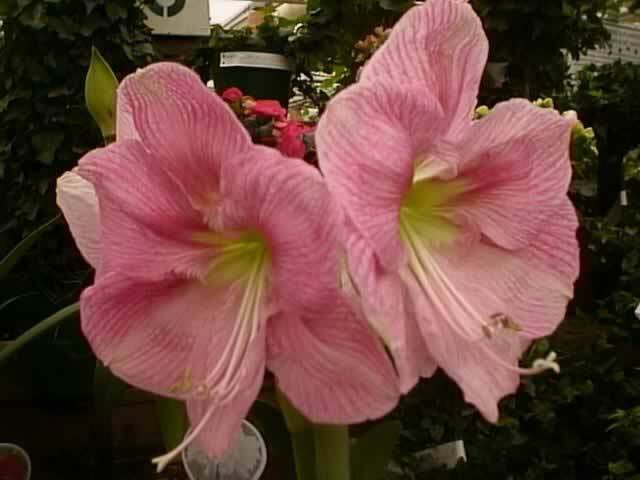 Plant Amaryllis bulbs 8 weeks before you would like them to bloom. to ensure non-stop winter bloom, until May. plants and flowers growing here in the Gardens of Cedar Hill. Click on them to enlarge. I hope that you enjoyed your visit to The Garden Helper!